Jonathan is the director of the Sound Healers Association; a non-profit organization dedicated to education and awareness of sound and music for healing. He is also president of Spirit Music, which produces music for meditation, relaxation and self-transformation. Jonathan has created numerous cutting edge recordings including: "Dolphin Dreams", "Sacred Gateways: Drumming and Chanting", "Trance Tara", "Ultimate Om", "Holy Harmony" and "Medicine Buddha"; created for H.H., the Dalai Lama's teachings in Northern California this May, 2001. His overtone chanting is heard on Kitaro's 2001 Grammy Award winning album. Jonathan's best selling release "Chakra Chants" won the 1999 Visionary Awards for "Best Healing-Meditation Album" and "Album of the Year". Jonathan's highly acclaimed albums: "The Lost Chord", "The Divine Name" (co-created with Gregg Braden) and "ChakraDance" also won as the Visionary Awards. His latest album are "The Tantra of Sound Harmonizer" and "Reiki Chants". His collaboration with Tibetan Chant Master Lama Tashi "Tibetan Master Chants" was been nominated for a 2006 Grammy Award for "Best Traditional World Music". Jonathan has written numerous articles on the therapeutic and transformational uses of sound and music, which have appeared in many national publications. He has also contributed chapters and interviews to many books, including: MUSICMEDICINE, SONIC ALCHEMY, MUSIC: PHYSICIANS FOR TIMES TO COME and HEALING SPIRITS. Jonathan's work has been cited in many books, including Julia Cameron's VEINS OF GOLD. The McGraw-Hill college text, MUSIC IN OUR WORLD, has a chapter on Jonathan's recording of "Dolphin Dreams". In DAVINCI DECODED, Jonathan's CD "Chakra Chants" is listed as the #1 Selection for "Top Ten Spiritual Playlist". 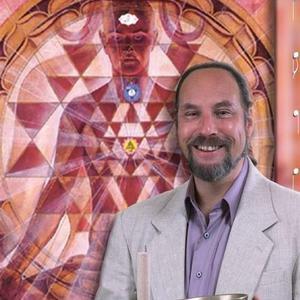 An internationally acknowledged Master Teacher, Jonathan facilitates Healing Sounds Seminars at universities, hospitals, holistic health centers and expos throughout the United States and Europe. He has appeared on national television and radio, including Art Bell's "Coast to Coast AM" and has been featured in national periodicals including "USA Today" and "The New York Times". His annual Healing Sounds Intensive attracts participants from throughout the world.